Information on the battle system and other gameplay aspects for Final Fantasy 15 have been revealed by Square Enix. Screenshots depicting the information were also released, one of which is a battle scene with a Titan Astral. According to 4gamer and Gematsu, players will be able to use the power of these large Astrals, such as the Titan, by “exhibiting to them your strength.” Once accomplished, their powers can be used when doing battle in the game. A few of the screenshots show Noctis and his band of friends coming across the Titan as it does battle with a Niflheim army. If a player guards against an attack, they will be able to parry automatically and if timed correctly, a powerful counter attack can be performed. If an attack is parried, it can trigger a Link Attack which is cooperative maneuver with allies. Certain conditions must be met for the Link Attack option to appear. Back Link attacks can also trigger, allowing the group to attack an enemy from behind dealing extra damage in the process. As prince of the Lucis royal family, Noctis is able to use an ability called Shift which is a warp move. It allows him to lock on to enemies for an attack, or move quickly to various points indicated on the map while in battle. Note that using this move will consume MP. Throwing his weapon in battle, Noctis can also Shift to where it lands. Shift will come in handy when the player needs to retreat to a safe area during battle in order to regain HP and MP before jumping back in. A variety of weapons can be summoned in battle, and according to Gematsu, a “speedy battle will unfold” when the players switches weapons during confrontations. Not all weapon types have been announced, but presently known weapons include: spears, shields, one-handed swords, daggers, magic, a great sword, and the Phantom Sword (Shuriken). Other images show how players will accept a quest after going to a designated area pinpointed on the game map. Main quests will advance the story, but side-quests and “monster subjugation missions” are also located across the game world. This plays into the “total freedom” of traversing the open-world previously discussed by the developers. Noctis and his buddies will be able to make camp at night, according to Siliconera. While camping the player will be able to look over XP earned throughout the day and level up. Ingnis is the cook of the bunch, and can whip up meals using the campfire. Cooked foods will have different buff effects when consumed in battle. The screenshots also show the various modes of travel in Final Fantasy 15: the car, Chocobos, boats and other means. You should give each of the screenshots a look. All are posted through the respective links to 4gamer, Gematsu and Siliconera. If you missed Alex Donaldson’s impressions of the Final Fantasy 15 demo he played during E3 2016, be sure to give it the once over. 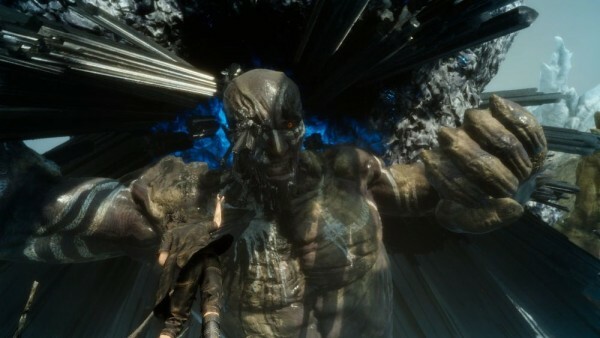 Final Fantasy 15 will be released on September 30 for PlayStation 4 and Xbox One.